Outside Hitter Gabrielle Bullock of Pickerington, Ohio was named the Mountain East Conference Freshman of the Year. Bullock was also named to the All-MEC Second Team along with sophomore teammate Tabi Pontious. Bullock’s fellow freshman Jenna Dufresne was named to the All-MEC Honorable Mention team. Both Bullock and Dufresne were also named to the All-MEC Freshman team. 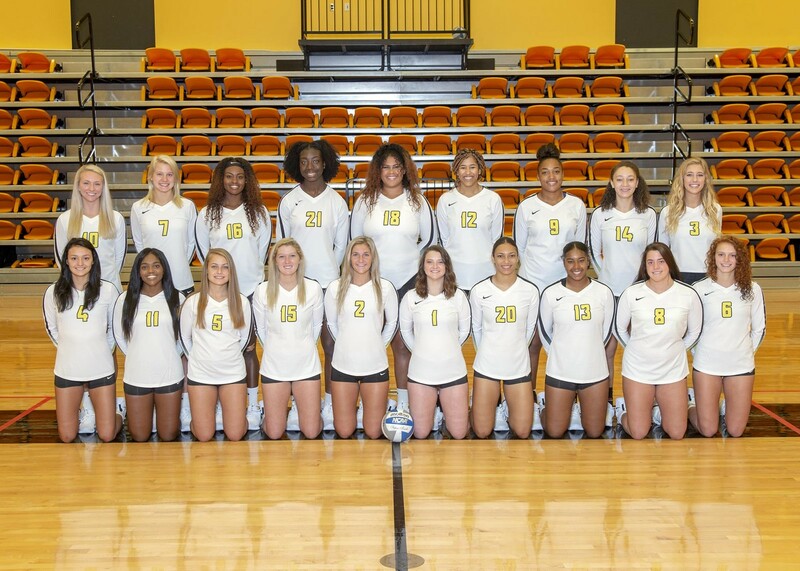 The Yellow Jackets are also preparing for the MEC Volleyball Tournament, where they are seeded fifth overall and will play West Liberty Thursday at 5:00 pm. This year marks the first trip to the MEC Tournament since 2013 for State, and enters the tournament with a four game winning streak. State currently has an overall record of 25-10, and the 25 wins match the previous single season program record, and 10-6 in the MEC. The 10 MEC wins nearly surpass the entire MEC win total from 2014-2016.